We’re at the end of the Lenten season, with Easter only a week away. For us Catholics and many other Christians, it’s the proverbial light at the end of the tunnel. We have spent the past month and a half in a drought of sorts—sacrifice, prayerful contemplation of our digressions, penance for our sins. In Mass, there is no holy water in the fonts and there is no Gloria to sing. The doors of the church are draped in a deep purple. We are in our annual mourning period. But the Son is about to rise and bring us light. And that is why we are the Easter People. I don’t know where the phrase originated, but I love it. It’s more than a label; it’s a way of life. It’s looking at the world not through the lens of despair, but with a hopeful perspective. Not an easy thing, I assure you. Not in this world of the 24-hour news cycle that rarely brings “good” news. Civil war in Sudan. Drug violence in Mexico. Death and destruction in the Middle East. Senseless gun deaths in our own country. Our own politicians and their lackeys spewing hatred and vitriol. Sometimes, I feel the human race takes delight in breaking each other down, crushing each other’s spirit. 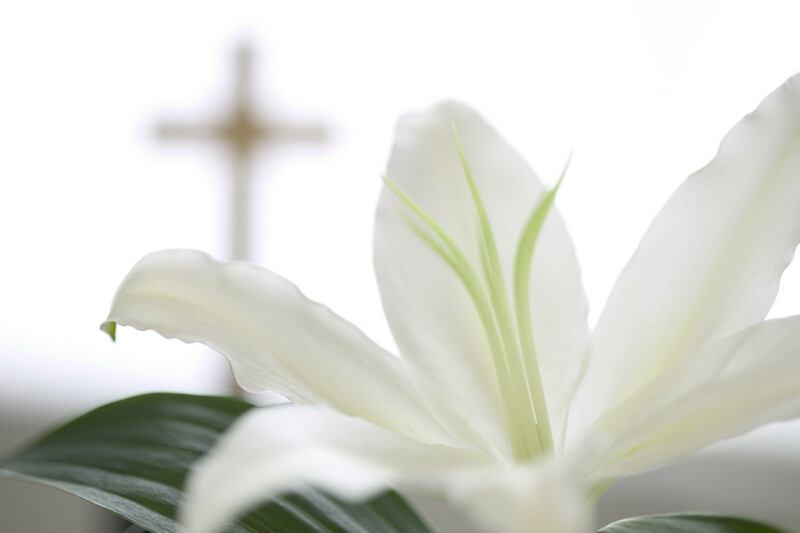 Cory Busse wrote an article this past week for Our Sunday Visitor on five simple ways to be an Easter People by practicing “Alleluia Living”, a term his wife coined. You should read the whole article to get a deeper sense of what he means, but in a nutshell, the five ways are: Cling to the people who love you, Remember who you are, Don’t wait for the other shoe to drop, Bring joy to the world, and Breathe in the Holy Spirit. Count your blessings—literally. I am a mom of four incredibly active children under the age of 10. Finding a peaceful moment is as rare for me as finding an unopened sleeve of Thin Mints in the freezer. And yet, when I’m feeling stretched to my breaking point, I just have to stop and count. One. Two. Three. Four. After all the time I spent counting the years I was childless and trying (1, 2, 3, 4, 5) and the number of babies I lost (1, 2, 3, 4, 5, 6, 7, 8, 9, 10), counting those four blessings squabbling over which Phineas and Ferb to watch snaps me back into shape. Laugh often. It’s cliché, but usually true: Laughter is the best medicine. It’s hard to dwell on the misery of life when you’re hyperventilating from laughing so hard. So try to choose activities that make you smile and laugh. I love dark dramas as much as the next person (Game of Thrones, anyone? ), but I balance those with copious amounts of The Office and the Vicar of Dibley. Make plans. They don’t have to be as grand as “Publish memoir by 2013”. They can be as simple as “Have dinner with best friend next Saturday” or “Get a pedicure on Tuesday”. Having something to look forward to forces you to look towards the future. If you can plan one good thing every day, it’s good motivation to get out of bed in the morning. (Perhaps something as simple as “Read the latest post on A Common Sea”, eh?) So get out your calendar and start planning! I wish you the best in embracing Alleluia Living! Come back tomorrow for “B is for Bullying”. « Five on Friday: Are You Up for a Blog Challenge? I’m all for Alleluia Living. I love the expression and thank you for passing it on. Great advice. I’m not a christian, but this is a lovely way to live. Love your tips–look forward to your challenge posts! Thank you for the comments! And although this is obviously Christian-centered, it doesn’t have to only be for Christians. It’s really about embracing each day with an open heart.